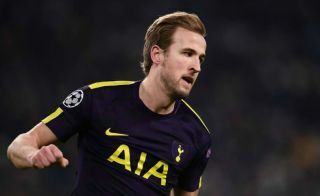 Tottenham striker Harry Kane made the headlines earlier this month after it was revealed Spurs would appeal for him to be awarded a goal at Stoke City. The 24-year-old is chasing the top goalscorer award and has 37 goals in 43 appearances so far this season in another stellar campaign for the England international. That has led to the trolls mocking him for the past two weeks, as after any contentious incident or claim that he’s not even been involved in, they’ve been poking fun at the Tottenham star over his desperation to claim that goal. It seems that even when he tries to go off topic, they won’t let him forget about it just yet as the joke seemingly hasn’t died out for some. As seen in the tweets below, Kane will have to continue to put up with the trolls for a little while longer although that won’t matter one bit if he is able to surpass Mohamed Salah in the goalscoring standings before the end of the season and continue his fine form. You claiming Tiger’s majors while you’re at it? Did you get the last touch as well?? It was a hole in one, I swear on my kids life ? That a hole in one H? Just claim it anyhow ? Also got the last touch ? ??? What’s this, your not claiming Tiger woods major wins as well are you?! Is it me or does that ball fly into the trees and he claims and hole in one! If you claim more, you can get the hole closer ?????? ?